Our church started a fascinating new Bible study this year to examine what God's word says about earthly government and how Christians should or should not participate. The class materials and the Bible passages being referenced are really interesting to reflect on but what I find even more interesting are the attitudes and conversations of the large room full of Christians from very diverse backgrounds. While discussing God's word in Romans 13:1-2, one lady exclaimed, "I think that most people in this room [of about 100 people] would be Tories during the Revolutionary War." Let everyone be subject to the governing authorities, for there is no authority except that which God has established. The authorities that exist have been established by God. 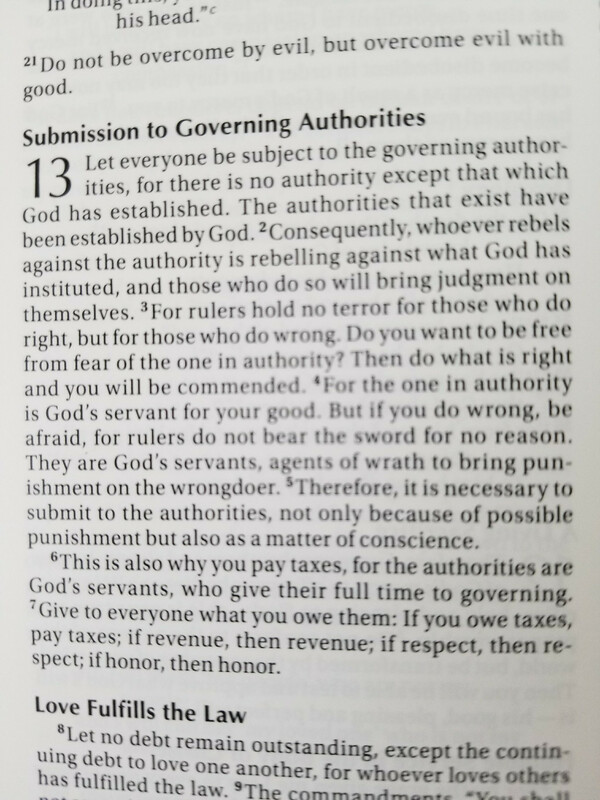 2 Consequently, whoever rebels against the authority is rebelling against what God has instituted, and those who do so will bring judgment on themselves. I think she was 100% correct. I know many of the people in that room and of the 100 or so there I could count on one hand those who I know have taken some form of political action in support of their deeply held beliefs. There are very, very few Christians these days who will get off their knees and actually make phone calls or knock on doors or help develop flyers or DO ANYTHING to help support honorable, God-fearing candidates. Contrast that with the tens of thousands of atheists and government worshipers who take action daily in support of the progressive agenda and their godless candidates. 2018 is going to be a pivotal year in the world of politics. This will either be the year that progressives bully their way back into power in Congress so they can perform a coup of the Trump Presidency through baseless impeachment or it will be a year when Christians and everyone else who believes in traditional American values STEP up their activities and DO SOMETHING to help make America great again. I have teamed up with the friendly folks at Americans for Prosperity for the past several years and helped make thousands of phone calls and knocked on hundreds of doors within our community to spread the traditional American values that I hold dear. We have accomplished some amazing things including aiding in the re-election of Senator Ron Johnson. I invite you to join us in these efforts. You can visit https://americansforprosperity.ivolunteers.com/ to sign up or just drop by the office at 427 Main St. in La Crosse.